This past weekend, we played a new game called Vegas and it is AWESOME!!! 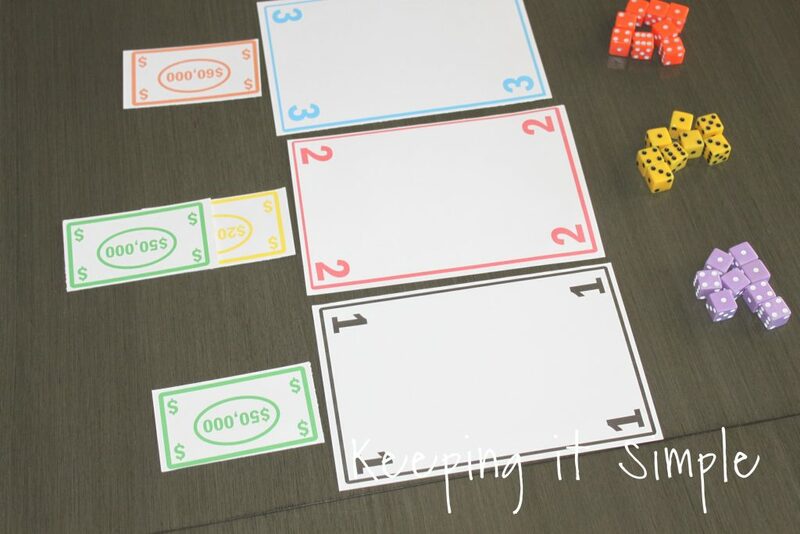 It’s a fun strategy game that is super simple and easy. It’s a great game when you have a lot of people of all ages. My 5 year old could play it with some help and adults enjoy it too! I definitely recommended getting it :). During the weekend we played it, but at one point we didn’t have the game with us, so we made up our own version of it and played. It was still so much fun and we spent hours playing it! Since I made up my own version, I thought that I would share it with you guys :). 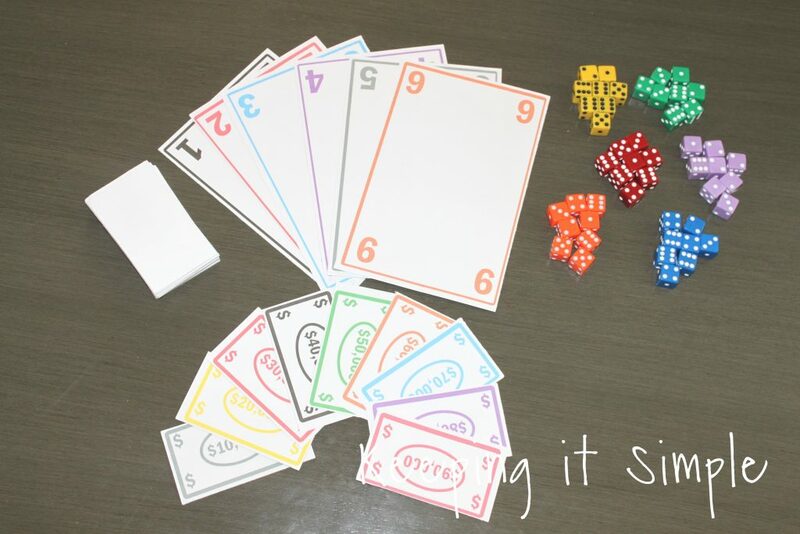 I made up the game as a printable, all you have to do is print out the number cards and the money cards. Using a paper trimmer, I cut everything out. Each player needs 8 dice and it’s nice to have different colors so we got some fun colored dice. If you have a Tenzi game, those are great for the dice :). Alright now it’s time for the game and the rules. Here is a quick video to show you how it is played (and then I will explain it more in depth). 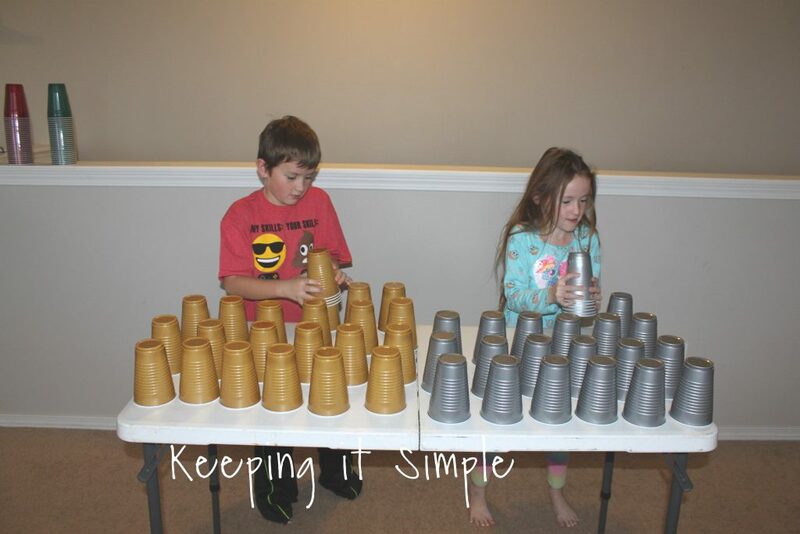 As you can see, it’s super easy for kids, my 5 kids can play it by themselves, they are ages 5 through 13. 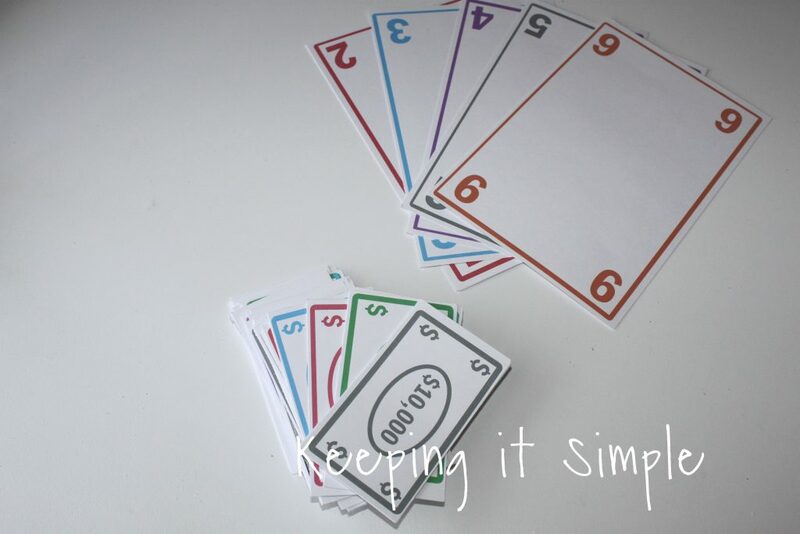 Set up the number cards in order and then deal out the money cards. 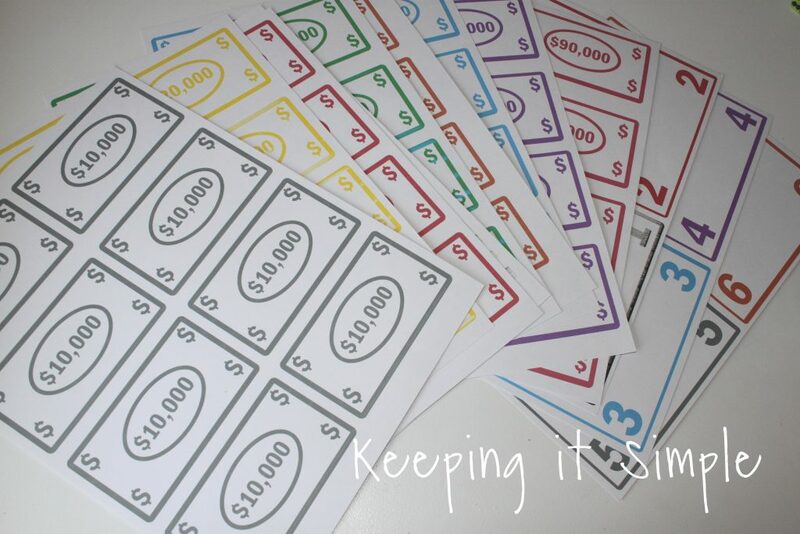 When you are dealing out the money cards, the amount has to be at least $50,000. If it is lower than 50,000, then you add another money card until it hits at least $50,000. With those number cards there will be more than just one winner. 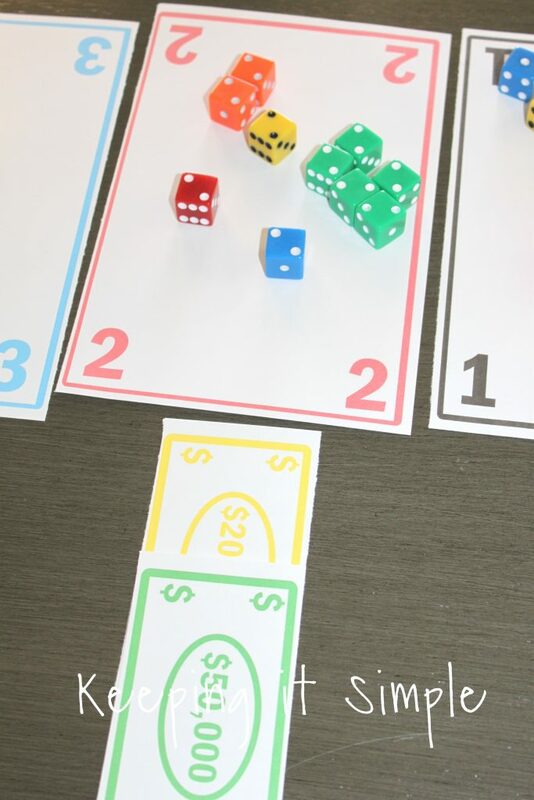 The goal of the game is to have the highest number of dice on the number card and earn the most money at the end of 4 rounds. •First thing that you do is roll to see who goes first. The one with the highest number goes first. 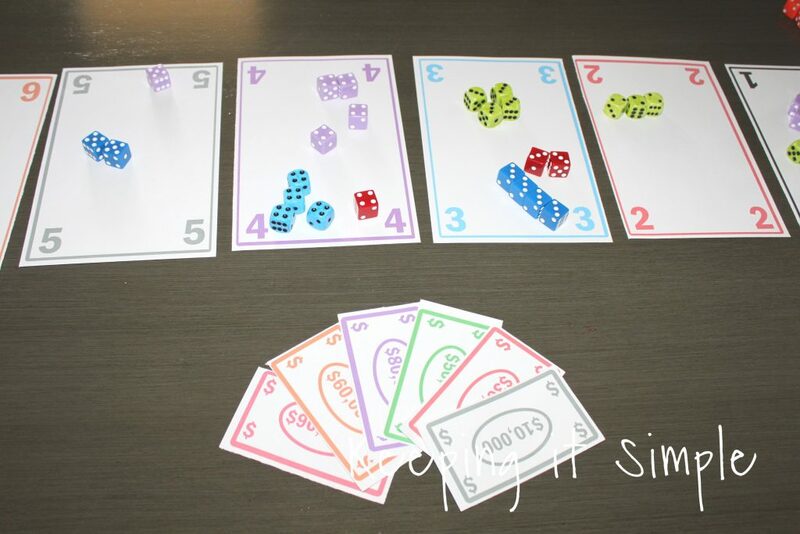 •Starting with the first player, roll all 8 of your dice (you have to roll all of your dice each turn). •After you roll the dice, separate them according to the number. Each turn you only get to play one number onto the number card, but if you have more than one dice with the same number, you have to play all of the dice if you choose to play that number. Let me give you an example, if you look at the yellow dice in the picture above, there are 2 1’s, 1 2, 2 3’s, 1 4, 1 5 and 1 6. If you decide to use the 1’s, then you have to play all of the dice that are 1, so in this case two. 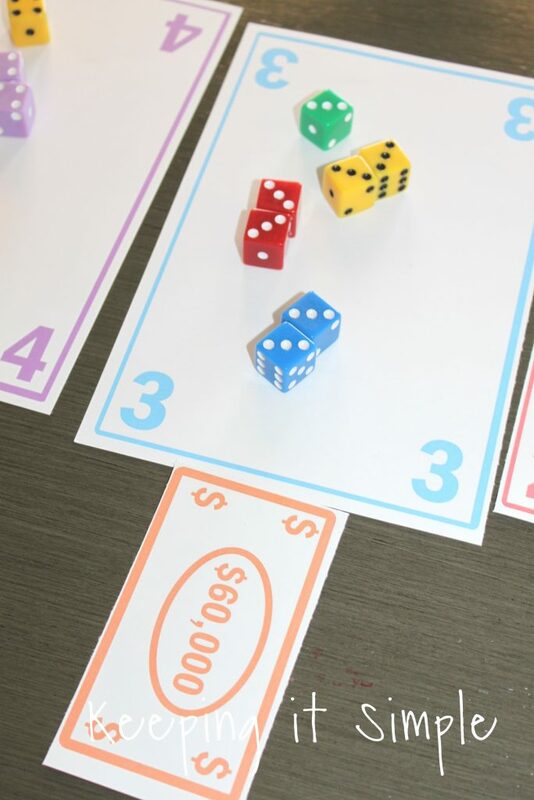 You don’t have to play the number that has the most dice, you can base your decision on what money amount is on the number card ($90,000 is the highest). 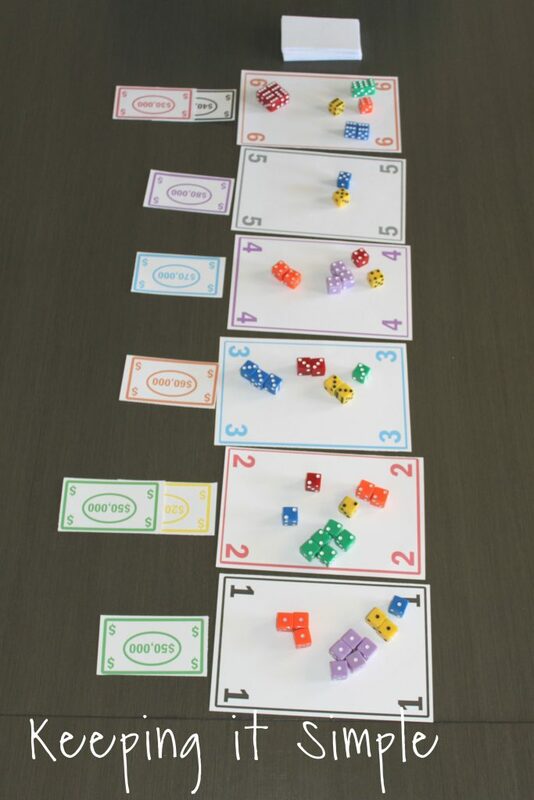 • Once you put the dice onto the card, it is the next person’s turn. They do the same thing. Continue to take turns until everyone is out of dice. Once all the dice are played it is time to determine the winner. The person with the most dice on the number card wins. If there are two or more people that have the same amount of dice on the card, they cancel each other out and the win goes to the person with the next highest. So in this picture of the number 3 card, the blue, yellow and red all cancel each other out making the green dice the winner. Like I mentioned before, there can be two money cards on one number card if the first money card is less than $50,000. So this card has two winners, the first place winner gets the highest money card. So for this card the green dice get the $50,000 money card and the orange dice gets the $20,000. 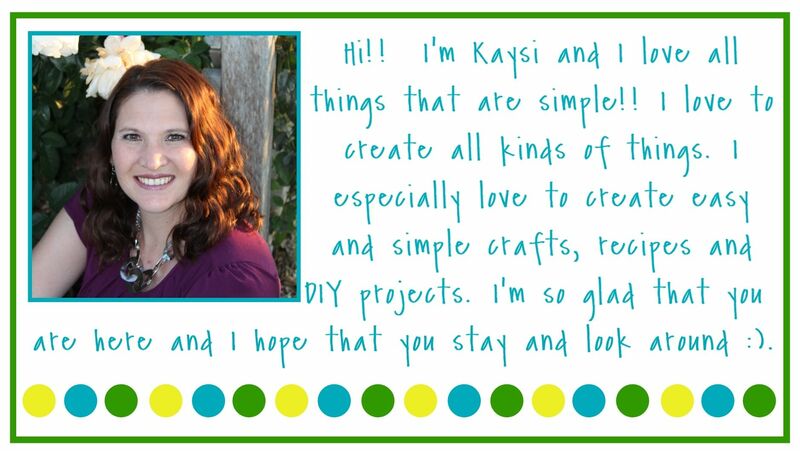 Here is another example of the two money cards. 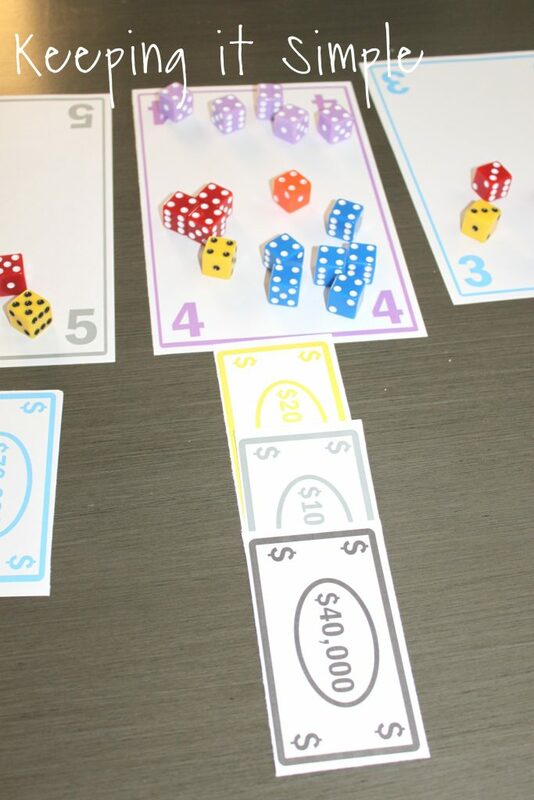 But in this example the red dice get the $40,000 but no one gets $30,000 because they all cancel each other out. That card just goes onto the bottom of the deck. Sometime there are 3 money cards on one number card, when this happens there are 3 winners. So for this card, the blue dice gets the $40,000, the purple dice gets the $20,000 and the red dice get the $10,000. 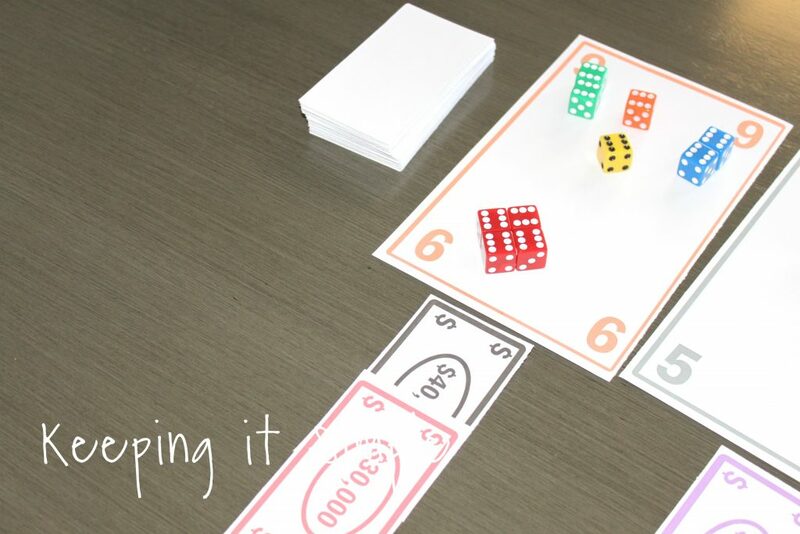 Once 4 rounds are over, you count up all of your money cards and the person with the highest amount wins the game! The benefit of this game is that you can have several people play. You need at least 3 players but you can have as many as you want, the only limit is how many dice you have :). We had 8-10 people play at the same time and it made the game super fun!! 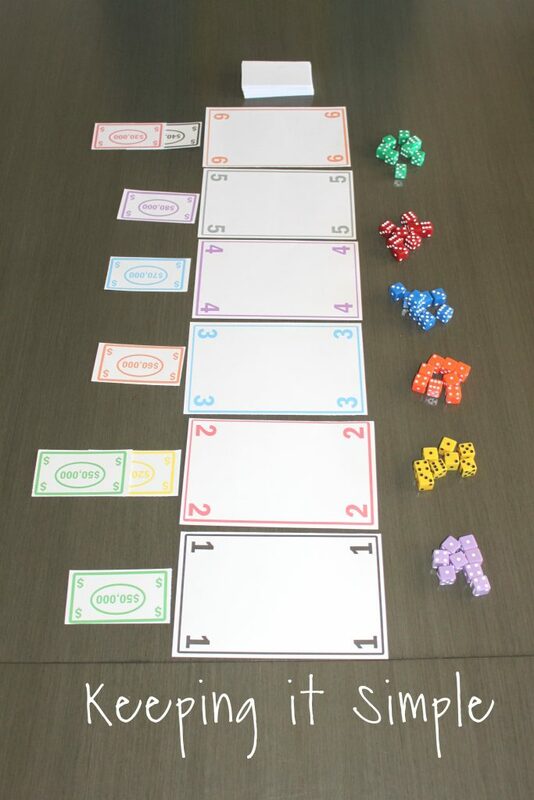 Like I said before, I definitely recommend buying the Vegas game but if you have lots of dice and want to play real quick, you can print out the printable here. If you liked this post, then check out my other games that I have made :).